As far as you are an active Instagram user, you would have consciously or unconsciously come across the name 'Bro Segun also spelt Brah Segun' which is regularly littered around the popular pages of the picture and video-uploading platform. 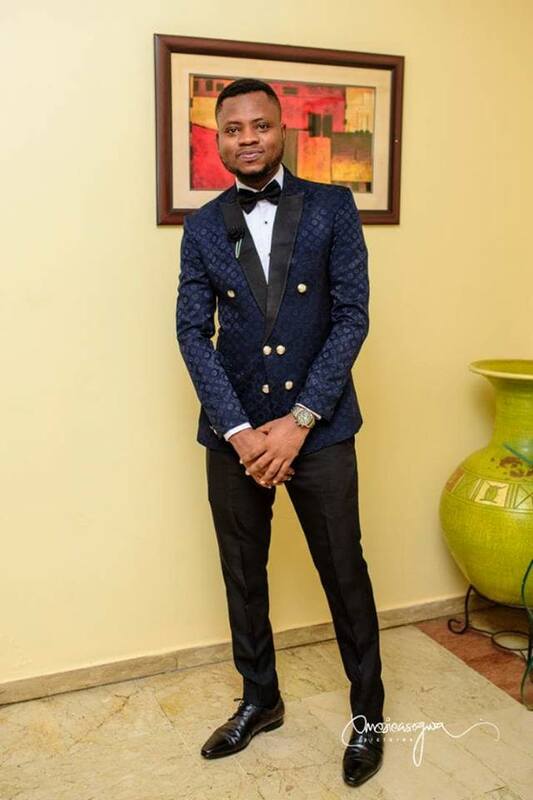 Lasisi Elenu became so prominent in the Nigerian social media space that the Vice President of Nigeria, Professor Yemi Osinbajo once spoke about him during a symposium at the beginning of this year. The number one ranter in Nigeria as he is fondly referred to, who has over 1.2 million followers on Instagram was used to buttress the VP's point on the quality of human resources in Nigeria. In less than a year, Lasisi who mostly drops one-minute comedy skits on Instagram lamenting about one issue or the other starting with the popular phrase "Sum Just Happen Right Now" attained stardom in less than a year. He has become a major brand influencer with top commercial brands dealing with him. But this story isn't entirely about Lasisi Elenu, it's about a certain young man directly unconnected with Lasisi who is benefiting immensely from his fame. That is one handsome, soft spoken, stylish and classy young man identified as Ifeanyi Nwakaudu who is impersonating a fictitious character steadily mentioned by Lasisi in his comedy skits and that is 'Bro Segun Abereowo'. He is Lasisi's church member and number one irritant as heard in the dramatic rants. Before now, Ifeanyi struggled with about 1,000 or thereabout followers on Instagram. Immediately he spotted Lasisi, he took advantage of the personality of Bro Segun. The University of Nigeria Nsukka graduate of English Language and History edited his bio to align with Lasisi and fun-seeking social media users started following him in droves. He calls himself a "professional troublemaker" and a "certified food taster". "In the past, I used to struggle to get the attention of ladies on Instagram but of late, I don't sweat it. They contact me first because of the Bro Segun identity" Bro Segun boldly told a Tori News correspondent during an interview organized around FESTAC Town in Lagos State. "I have also made good cash from doing advertisements for some small businesses via my page. I also get paid to attend high-profile social events and also create awareness about them via my page. Aside this, I'm also building a platform through which work place issues can be discussed and resolved and people have been participating" he continued. Ifeanyi explained that there is no cordial relationship between Lasisi and himself although he regularly comments on his posts like he is responding directly to him. He comments with the hashtag - "BrahSegunResponds". This hoodwinks fans of Lasisi into believing they are close and they begin to associate with him. Ifeanyi also shares Lasisi's comical contents on his page. The seeming harmless and symbiotic relationship backfired earlier this year, 2018 with Lasisi blocking him on Instagram. He didn't believe this eyes. According to the picture he painted, being blocked by Lasisi was like appearing stark naked in the market place in broad daylight with your senses intact. "Lasisi once followed me back on Instagram and he always responded to my comments on his page. This gave me more credibility and also spiced up the believability of his rants. But things started changing when advertisers and potential clients started reaching Lasisi through me. He got uncomfortable and blocked me around March, 2018. It was disheartening" he said. For weeks, Ifeanyi couldn't reach out to his host page anymore and like a river that forgets his source, there was stagnancy in the growth of his page. He said he had to reach to Lasisi through some means to explain he meant no harm to his brand and the ban was subsequently lifted. "When he (Lasisi) unblocked me, I reduced my activities on his page to the barest minimum and since then, we have been cool. No personal relationship between us till now through" Ifeanyi added. His brand is becoming big and he wishes to stop leaning on Lasisi to survive. He doesn't have the kind of comical skills possessed by Lasisi but he has a mastery of writing and engagement skills. He regularly engages people on a variety of topics through live Instagram videos. Building his brand on Instagram has been tasking. Bro Segun once revealed he takes his mobile phone to the bathroom regularly to track events and respond to people. He wishes he could conviently type messages while taking his bath. That sounds really crazy but he means his words. The supervisor at a start-up who is starting his Masters degree programme at the University of Lagos, Akoka very soon worships his phone like an idol, he sleeps on it, dreams on it, and wakes up on it. When the battery dies, he acts as if oxygen is about to be withdrawn from his body. It sounds like madness but Bro Segun believes its a momentary sacrifice for a brighter future. "See people think I'm crazy but I'm not. I swear to God, I'm just fine and chronically focused. Just like yesterday, some regular netizens were accused of being jobless, today there are brand influencers, social media consultants and managers making so much money. Social media is the future of marketing and advertising in the world. Who says I can't be as big as brands like Instablog9ja, TundeEdnut, TheShadeRoom and others? "They all started small and slowly on Instagram and look at how big they are today"Bro Segun concluded with so much optimism as he quickly replied a fan's message with a big smile on his face. The person could have been a lady but he was reluctant to reveal this to the reporter.